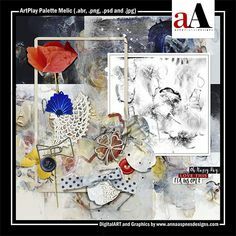 MidWeek Digital Designs 07-12 for digital scrapbooking, photo editing and artistry have arrived in the aA store. 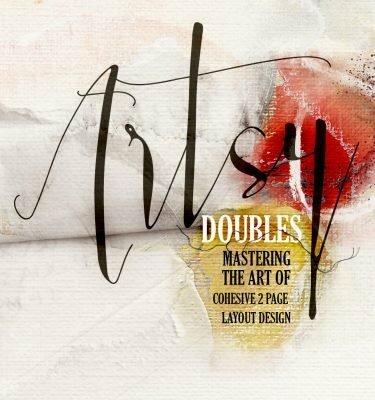 There are three artsy digital designs to include new Ballet No. 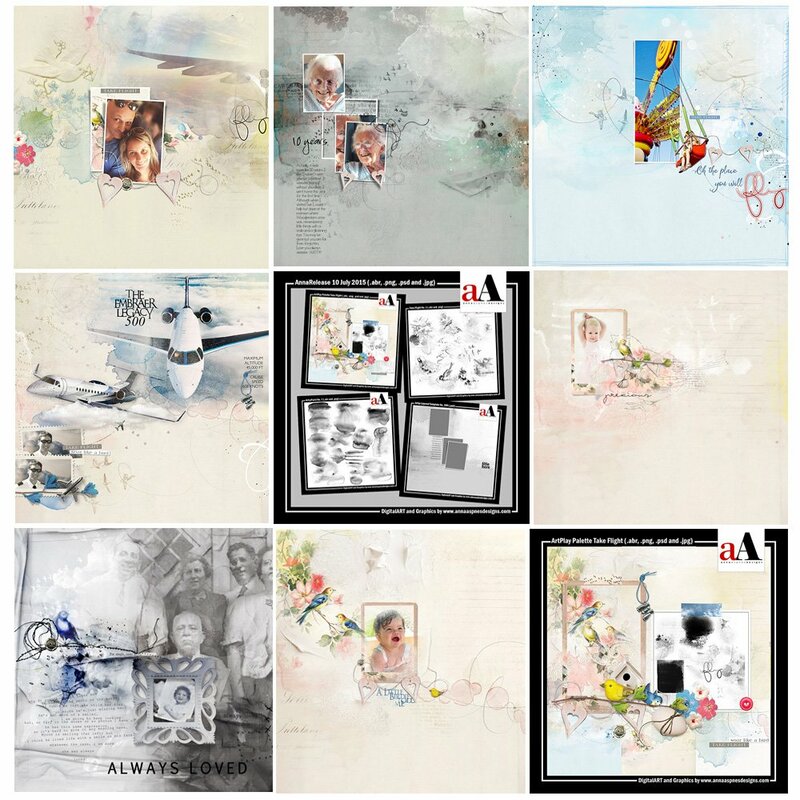 1 , eA Arrows No. 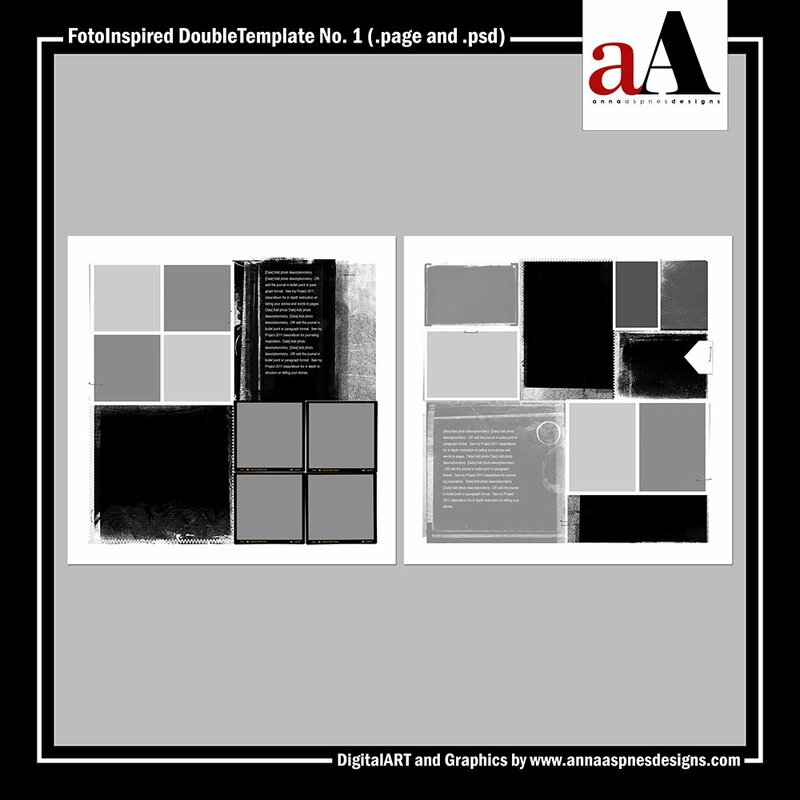 1 and FotoInspired Artisan Template Bundle. 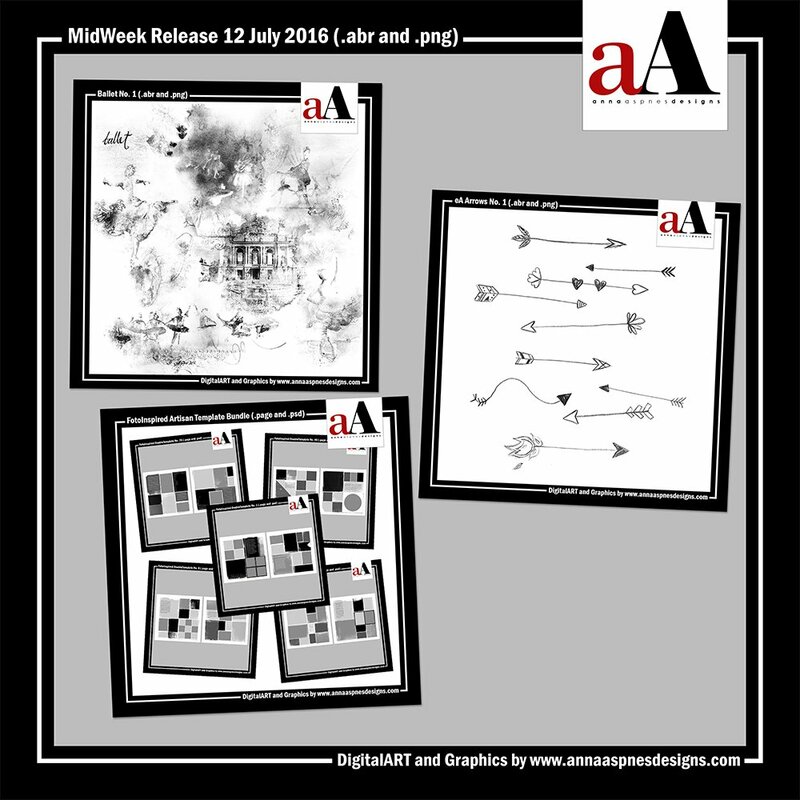 Each of the MidWeek Digital Designs 07-12 is 20-49% off through July 19, 2017 at 9 am EST. 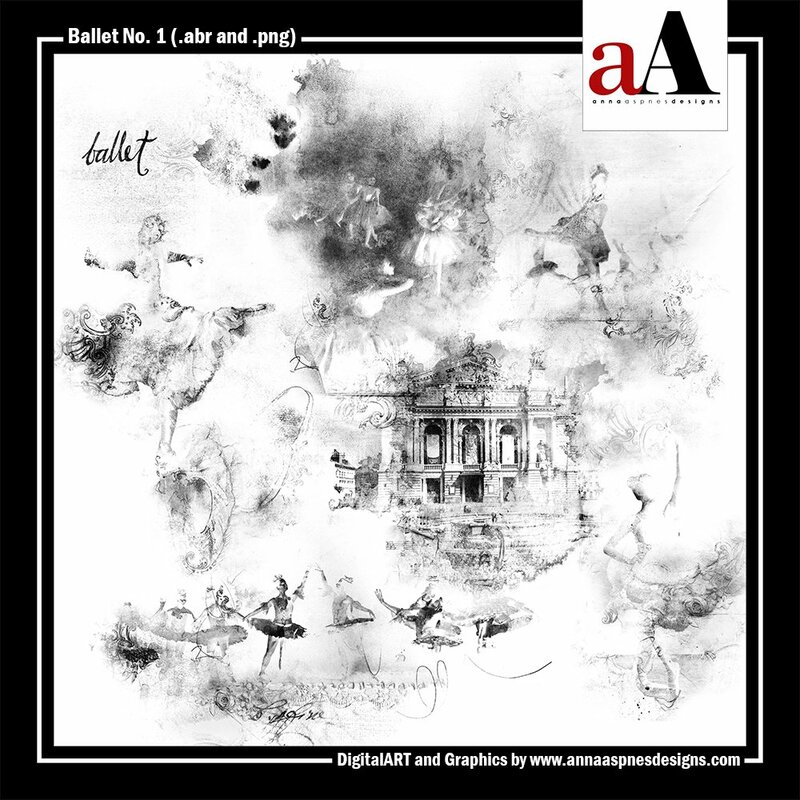 A collection of 8 artsy ballet themed brushes delivered in .abr and black .png format to enable maximum customization. 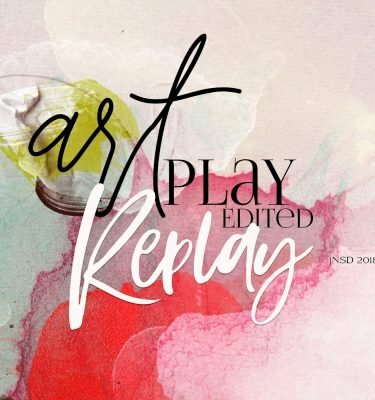 There are 2 different .abr files to support PSCC and PSE 15+ (from 1528 to 4086 pixels) and Elements/earlier versions of PS (from 1528 to 2500 pixels). 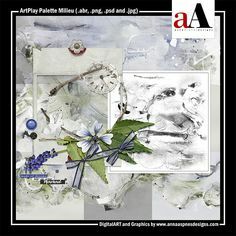 Guidance on using brushes in Photoshop and Elements can be found in the Instructions for Use eBooklet which is available as a free download from the FreeART category of my store. 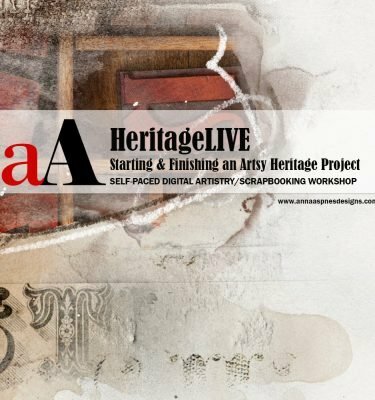 Also check out this video tutorial which provides an overview of brushes, as well as guidance on how to load and use them. 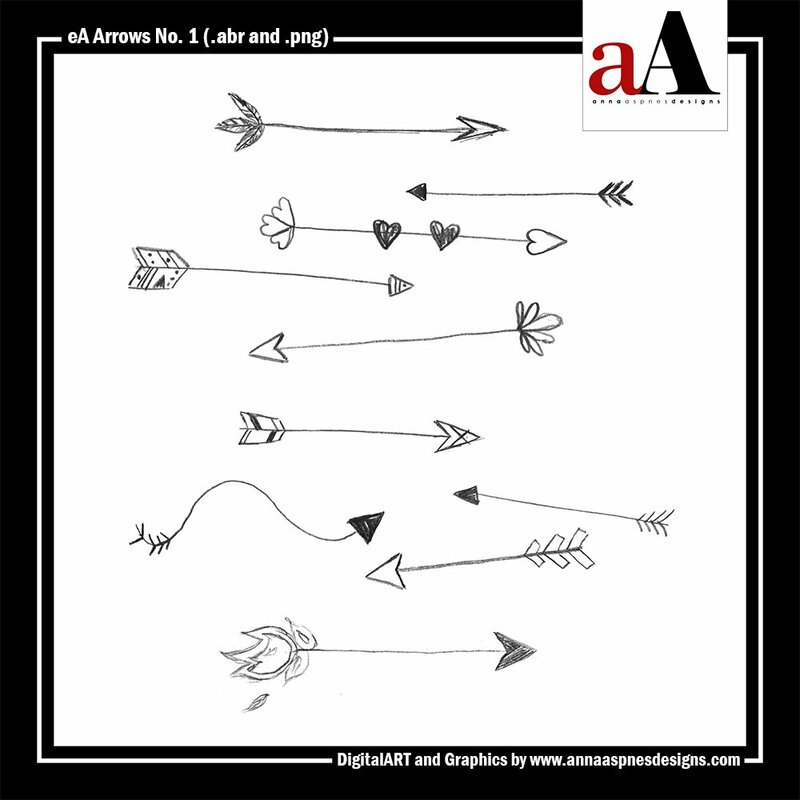 A collection of 10 pencil-illustrated arrow brushes delivered in .abr and black .png format to enable maximum customization (from 1100 to 1448 pixels). 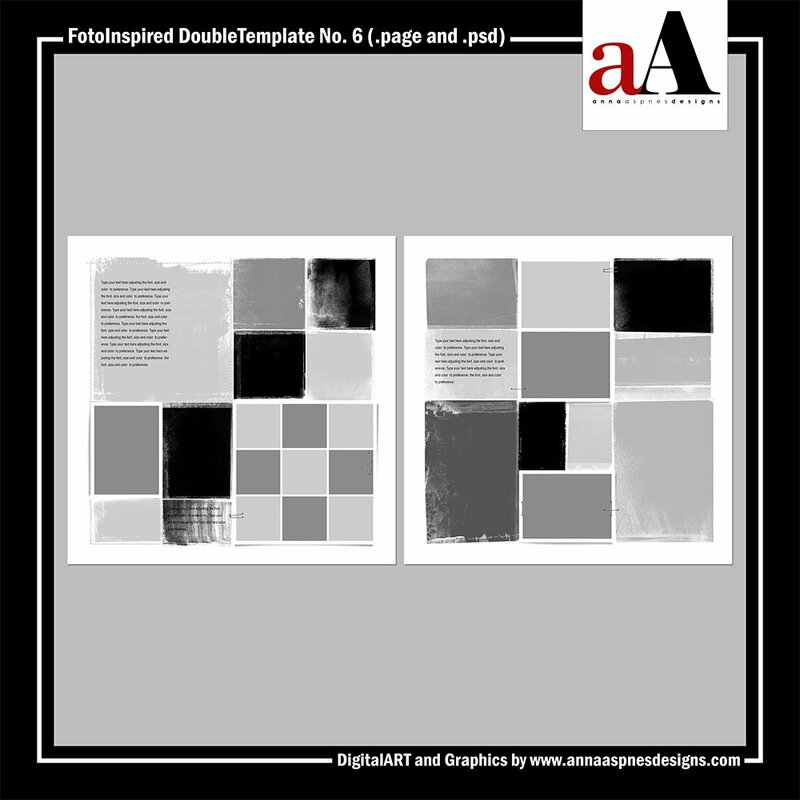 Guidance on using brushes in Photoshop and Elements can be found in the Instructions for Use eBooklet which is available as a free download from the FreeART category of my store. 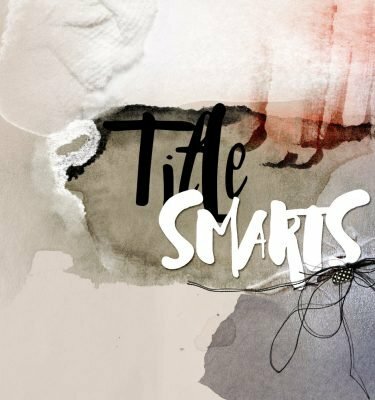 Also check out this video tutorial which provides an overview of brushes, as well as guidance on how to load and use them. 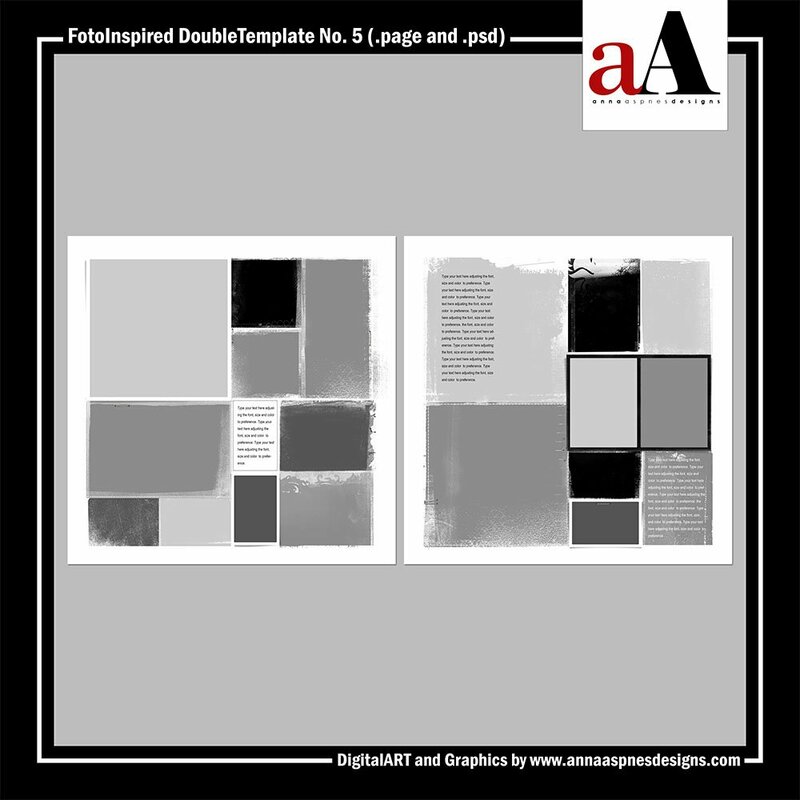 This limited option enables you to purchase all 5 Artisan (.page and .psd) FotoInspired Templates at a 49% discount. 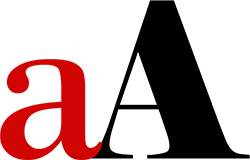 The AnnaRelease collection will no longer be available after July 19, 2017 at 9am EST. 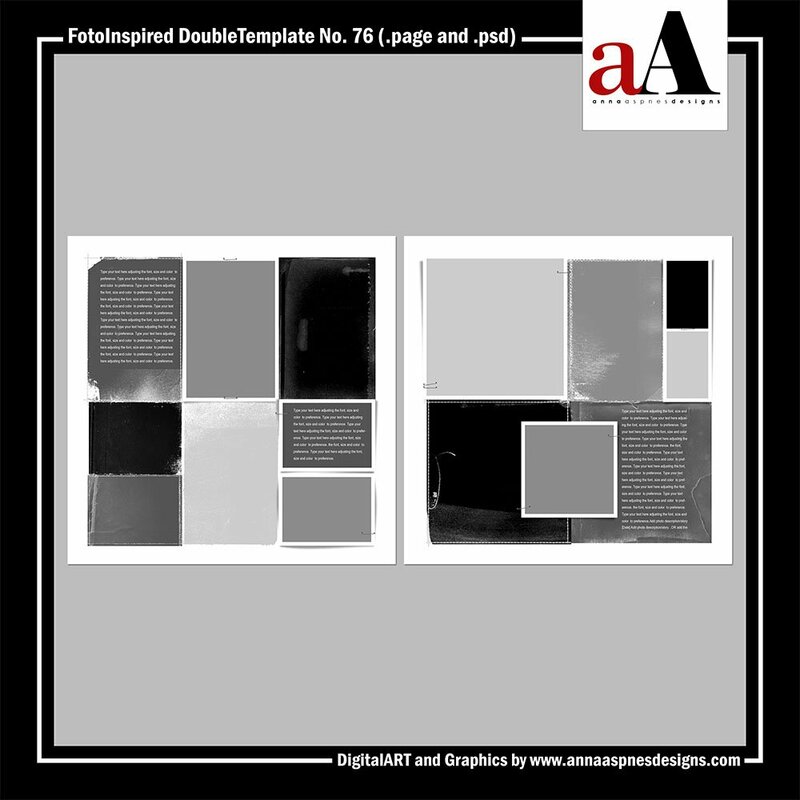 Five 12 X 12 layered templates designed as a double-page insert to coordinate with the FotoInspired Template No. 2 series. 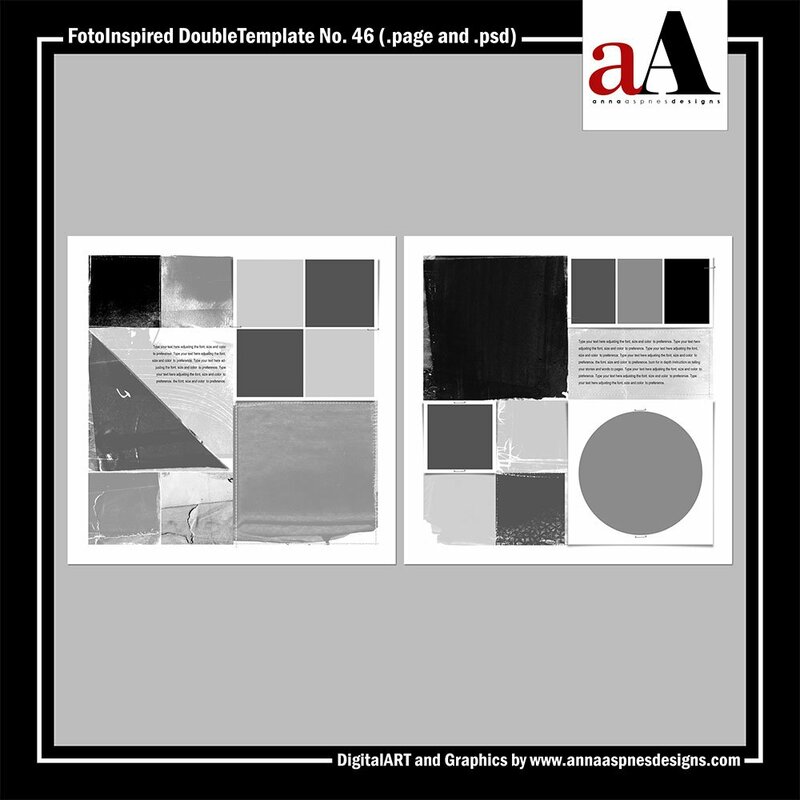 These templates also include .page format files intended for use in SBC4, Artisan 4 and Artisan 5. 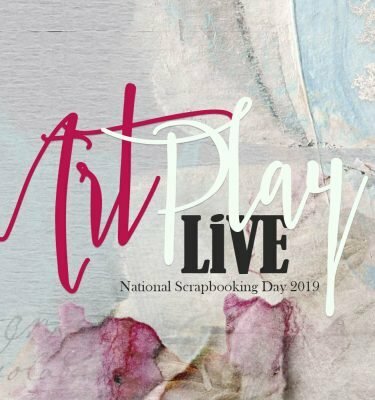 All layer styles, masks, frames, staples, textboxes shown are included. 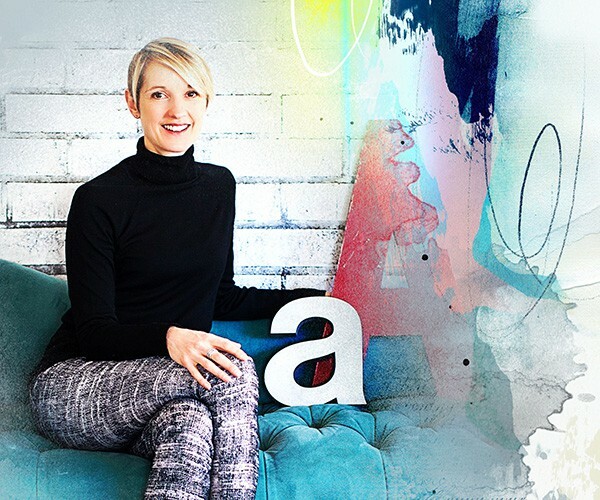 Simply clip your images to the masks using the clipping mask function in Adobe Photoshop and Elements and add your own words. 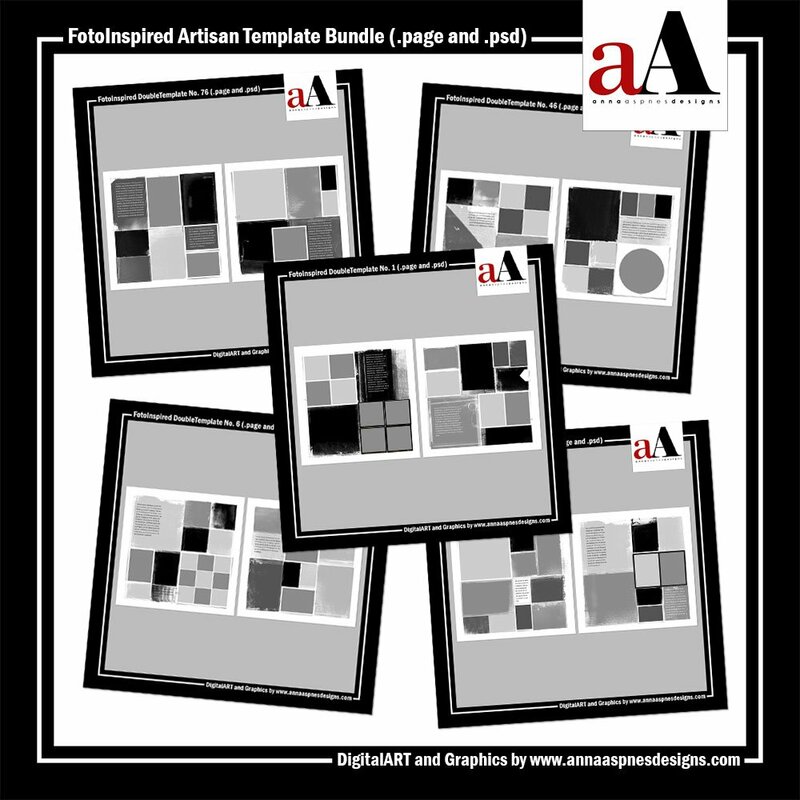 Purchase the Artisan FotoInspired Templates individually at 20% discount.